We offer 4 holidays over the entire length of the route from 6 to 9 days walking depending on how far you want to go each day, and how much time you want to relax and soak up the views! 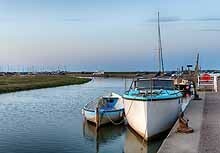 If you don’t have the time to do the whole route we also offer the option of doing the Peddars Way or Norfolk Coast path separately. 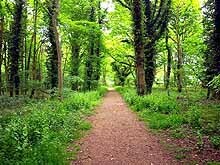 The Peddars Way is a gentle walk through the Norfolk countryside with sweeping views over the surrounding farm and heathland. You will come across historic villages, walk on a roman road and follow a sculpture trail. The route is very straightforward with good signposting and easy paths. Castle Acre priory and castle are worth a visit as well as the Bailey Gate, this dates back to 1200 and the road into the village still leads through the gate today.